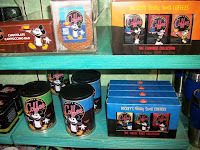 Snacks are as intricate to the Walt Disney World experience as rollercoasters and autograph books. Of course, the lingering flavor of Dole Whips, the smell of roasted almonds, and the memories of popcorn on Main Street U.S.A can only last so long. Luckily for all of us, a flight or drive home no longer has to be the end of tasty Disney treats. Without much fanfare, Disney has been releasing several different brands of snack foods and beverages for guests to enjoy long after they have checked-out and returned home. Today we’ll tour the shelves and see what is available for a quick bite or hot sip. 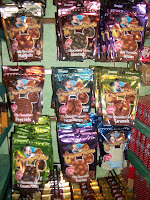 Chocolatears – Bags of bite-sized chocolate snacks. Typical movie theater fare, such as chocolate covered pretzels, raisins, and maltballs are among the beloved movie time candies available to take to your own home theater. 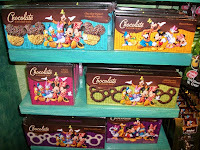 Chocolate Favorites – Classic boxed favorites and variations. Generally reserved for romantic and festive holidays, everyday becomes a holiday with these cherry cordials, pecan clusters, and large chocolate covered crispy rice treats. 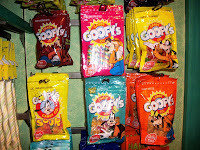 Goofy’s Candy Co. – Children’s, or adults who wish to feel like children, favorites are now bagged and served by Goofy. Red licorice bites, hard candies, gummies, and miniature lollipops are sure to satisfy the sweet tooth once home, or at for the drive home. 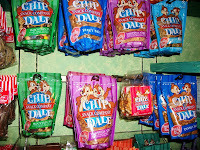 Chip & Dale Snack Company – Served in family and fun sizes, these bags of snack mixes not only provide something sweet but also protein for the energy to keep up with busy children, or to keep one step ahead of the parents. 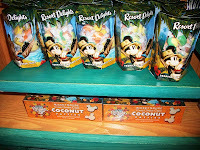 Chip and Dale have created snacks that help you choose you own adventure with mountain, tropical tiki, nature, and even samurai mixes, to name a few. 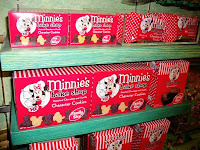 Minnie’s Bake Shop – Baked goods, including brownies and various cookies come in boxes and occasionally bagged individually, are handled by the Bake Shop. Back home, guests’ kitchens can become the Bake Shop with mixes that are also available, complete with spoons or whisks. 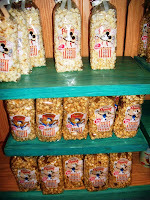 Main Street Popcorn – While Main Street U.S.A., and the Magic Kingdom as a whole, is known for its popcorn, variations on the traditional popcorn can be taken home by the bag. Kettle, Caramel, and Caramel with nuts are available for even walks or movie night. Resort Delights – Traditional treats, coconut patties and taffy, which have often made gifts for family members and friends back home are still staples of the snack section. Mickey’s Really Swell Coffee – Returning to work or school after any amount of time in Walt Disney World can be grueling, but some fresh perks should help get guests going. Included along side the various roasts and flavors are also classic coffee accompaniments like chocolate bars and waffle cookies. 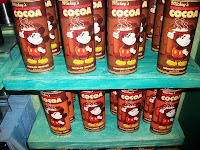 Mickey’s Really Creamy Cocoa – Cocoa is the quickest way to warm up on those chilly nights, and with the flavored and classic cocoas, you are guaranteed warm bodies and a room full of smiles in every cup. 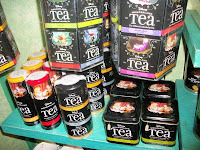 Wonderland Tea – Whether loose leaf or bagged, these teas, in blends such as Jasmine Green, Lemon Honey Chamomile, and even Mad Tea Party, make the perfect cup for an unbirthday or a drowsy morning spent reminiscing over vacation photographs. I bought a giant lollipop in 2008 and i saved it. The sucker melted into a puddle of brown goo after a year or so. WTF!?!? !